We offer a range of web template designs for property, estate agents, and real estate business services. 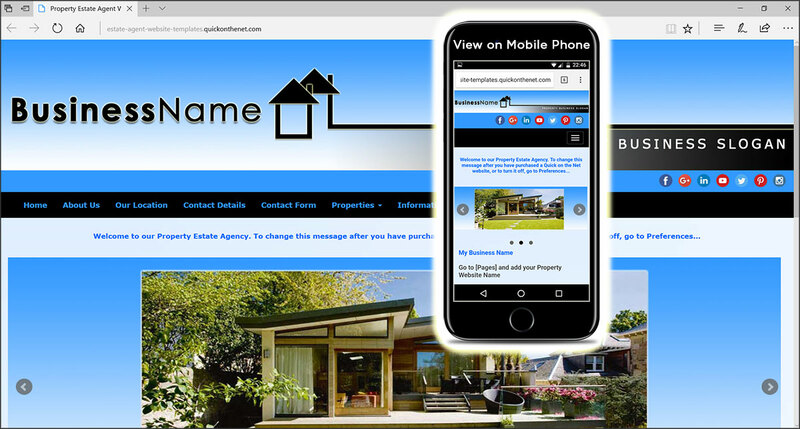 We provide details on how to build a property estate agent website with property search bar and click-through photo gallery features. Designed by a professional graphics designer, your website already includes a property logo. However, if you prefer, you can upload and insert your own business logo and re-brand this site in your current company logo colours. For your home buyers, your estate agent site is also quick and simple to use. Your properties are fully searchable, based on the keywords you add to each property (each gallery item).